Hello and welcome my name is Clare-Marie, I want to start by saying it is perfectly normal to feel anxious about making the first step in taking counselling. To open up about your difficulties takes a lot of courage so please be rest assured I will do all I can to make you feel at ease by offering you a safe place to talk over your concerns. In the counselling session I will work warmly and sensitively at your pace to assist you in moving forward with your life. 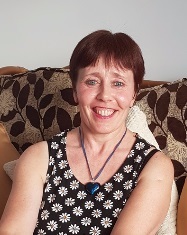 My approach is warm, empathic and about building a trusting relationship, so whether you come individually for counselling or as a couple you will be made welcome.